Love, in all its guises, and on any day of the year, entails a heady mix of emotions. Mirka Laura Severa agrees: “As sweet and nice as it is, love can also hurt,” the photographer and art director says. 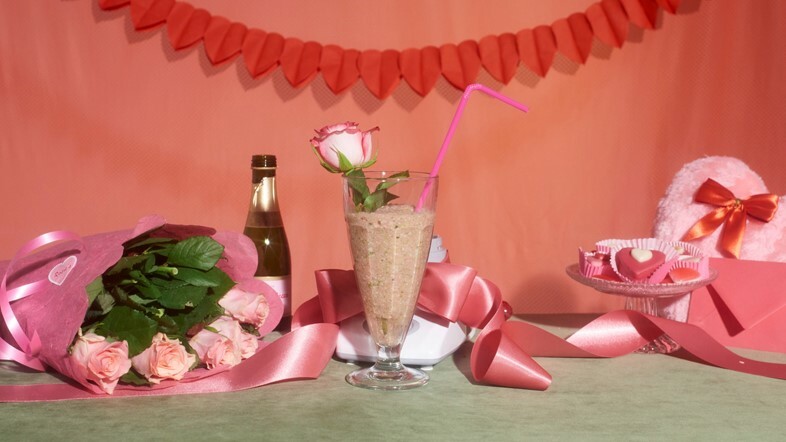 Her new film Love Me Blender makes this point deftly: it depicts a woman blending a love cocktail – dusty pink, viscous, and thick with consumerist tradition. With thanks to Marcioz and Dinamo Typefaces.